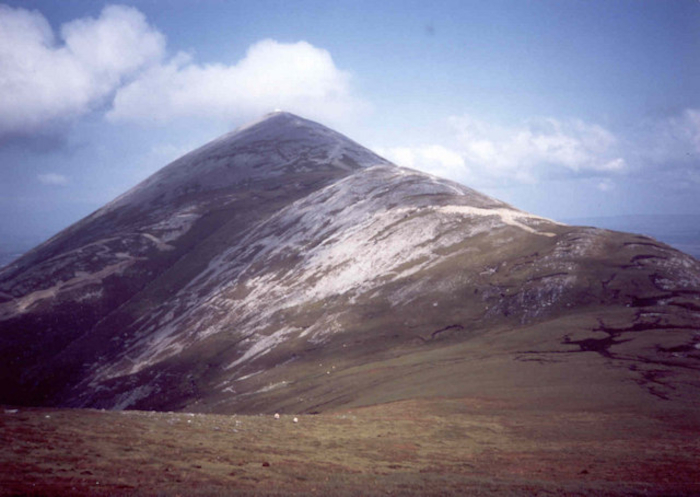 The Croagh Patrick Stakeholders Group was formed in November 2015 as a community response to concerns over the condition of the mountain together with concerns around safety, liability of shareholders and landowners, the status of the Croagh Patrick as Ireland’s Holy Mountain and the absence of structures to manage the impact of growing numbers of recreational users on the natural environment, habitats and ecosystems of the area. The group has a broad representation of stakeholders including Mountain Shareholders, Church, Murrisk Community, Mayo County Council, South West Mayo Development Company, Mountaineering Ireland, Mayo Mountain Rescue, Croagh Patrick Archaeological Society and the Tourism and Adventure Sectors. The Group is chaired by Mr. Martin Keating, Head of Environment, Climate Change and Agriculture, Mayo County Council. Following on from the work of Walking the Talk, a UK based consultancy firm with substantial experience in upland path repair and management in Scotland and Ireland, the outcome of the workshop event held in November 2017 attended by leading consultants and practitioners in upland path design, construction and maintenance regarding the most appropriate path construction methodology for the Summit, together with the recommendation that there would be significant benefit to working on a short section of path to test the implementation model, construction method and style of pitching, the stakeholder group is pleased to advise that the trial path work has now commenced. The work is being undertaken by Mr. Matt McConway, an experienced upland path contractor from Scotland and will be assisted by volunteers from the stakeholder group and GMIT, Castlebar. The trial will involve path construction over a 20m distance along the traditional Summit path and will take place over a two-week period. Following the trial work, an evaluation will be undertaken by the stakeholder group and the consultants who have participated in the project to date. While it is appreciated that there will be public interest in the trial path work, the stakeholder group and its individual ,embers will not be in a position to comment on it until the evaluation process is completed. In a comment, Mr. Martin Keating, Chairman of Croagh Patrick Stakeholders Group thanked all the stakeholders for their continued commitment to working in partnership on the project. He stated that the trial path work should inform the final piece of the solution to a complex erosion issue on Croagh Patrick and he looks forward to bringing a comprehensive solution forward to the planning process in the very near future.